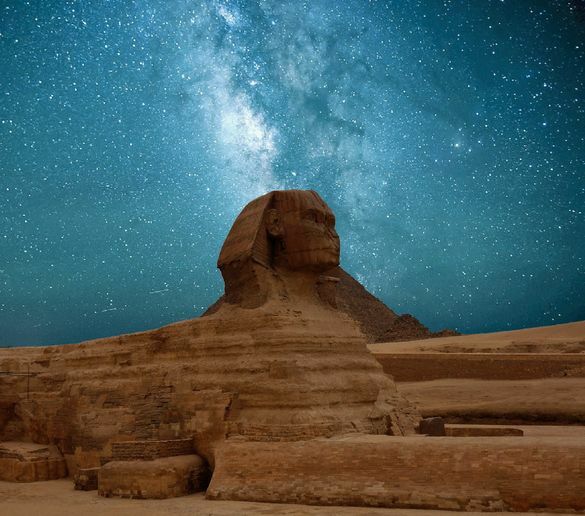 ‘Dark skies tourism’ has been tipped as one of the biggest travel trends for 2019, and is the practice of seeking out the world’s last remaining dark places where travellers can experience a clear, unpolluted view of the stars. With 80% of the Earth’s land mass currently suffering from light pollution, these dark spots are hard to come by. That is, except for with The Latin America Travel Company, who offer trips to Atacama Desert in Chile, one of the best places in the world for star gazing. The Latin America Travel Company’s “Ultimate Star Gazing Journey Through Chile” tour is the perfect chance to experience all of this and more. The tour includes visits to Atacama and the Elqui Valley – another fantastic spot for stargazing – and guests will have the chance to stay in the Elqui Domes, a specialist star gazing lodge, as well as visiting the Mamalluca observatory just north of Vicuña, near the Elqui Valley. From here, fly to Atacama, staying at the Alto Atacama which has its own telescope, offering an even closer view of the night sky. There’s also the chance for an adventurous quad bike tour to the Moon Valley, a rugged landscape famous for its lunar-like appearance. The Atacama Desert is one of the most arid areas on the planet, and the perfect place for soaking in the wonder of the sky and the natural world around us, with red sunsets that turn into purple moonscapes, ancient rock formations, glistening salt flats, shooting geysers, and multicoloured lagoons. The true pull for the Atacama Desert, however, is the stargazing opportunities. On a typical stargazing tour, travellers have the chance to spot stars, clouds of dust and gas, and numerous planets otherwise invisible to the naked eye – including Saturn, which is a massive 1.2 billion kilometres away. In 2001, the International Dark-Sky Association set up a programme that awarded destinations that were making an active effort to preserve their dark sky spots. Indeed, astrotourism has been a growing trend for years, as a result of the growing awareness and increasing numbers of designated dark-sky parks. What makes this trend even better is the ease with which travellers can experience a whole new place, while also getting under the stars and seeing the Milky Way up close and personal. The site of the world’s first designated International Dark Sky Sanctuary, Atacama Desert is renowned for amateur astronomy, and the Elqui Valley in the south is even renowned for its reputed healing energies. It is, quite frankly, an astronomer’s dream. Due to the altitude and dryness of the area, there is almost no air pollution – or light pollution – which means views of the stars are uninterrupted for miles. The Latin America Travel Company is an independent and family run UK based tour operator dedicated to providing the very best quality trips to Latin America – complete with fully private, and bespoke itineraries. The Ultimate Star Gazing Journey Through Chile tour starts at £5000pp, including two nights in Santiago and a night in a vineyard. Find out more here.